The Moderns™ are inspired by the architectural stylings of Frank Lloyd Wright, Richard Neutra, and Joseph Eichler. In this distinctive home style, Riverbend Timber Framing blends their tradition of high-quality timber craftsmanship with the forward-thinking designs of modern architecture. The stunning result creates a natural warmth and character for your home. Learn more about The Moderns™ by Riverbend and how you can begin designing your cutting-edge home today. At Riverbend Timber Framing, we have been incorporating custom styles and creative design aspects into luxury timber frame homes since 1979. Along with strength and durability, the ability to add character and architectural detail to any home is what makes timber framing so attractive to many of our customers. The Moderns™ by Riverbend incorporates some of the most forward-thinking principles of modern design and combines them with the classic sophistication of a timber frame home providing owners with the best of both worlds. Each of the custom homes in The Moderns™ collection showcases design elements that seamlessly blend Riverbend timber framing with modern architectural styling. Exterior timber bents support extended roofs, while interior timbers help open shared spaces where light floods in from large windows. Find yourself inspired by the cutting edge modern design of this style when you view the floor plans by clicking the link below. 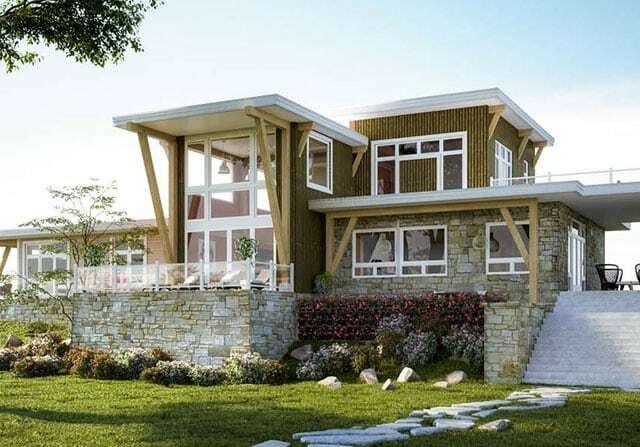 In creating styles to satisfy those with a taste for less traditional and more modern home designs, it seems only natural to seek inspiration from some of the great modern architects of our time. 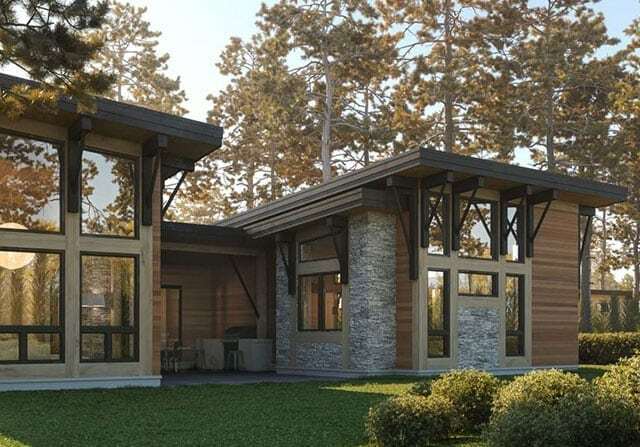 With designs influenced by the architectural stylings of Frank Lloyd Wright, Richard Neutra, and Joseph Eichler, The Moderns™ by Riverbend takes timber framing to a new level. This custom home style features clean, clear designs and plenty of open spaces to add natural light and character to your new timber frame home. To create The Moderns™, our award-winning in-house design group at Riverbend Timber Framing reviewed the work of some of the great modern architects of our time. They then identified different aspects which could be easily implemented through the design process and individualized to suit a particular clients preferences. This style is now available for all of our customers.